Dr. Steven Y. 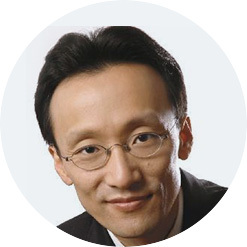 Park is a surgeon, sleep physician, blogger, and author of the Amazon best-selling book, Sleep Interrupted: A physician reveals the #1 reason why so many of us are sick and tired. It was endorsed by NY Times best selling authors Dr. Chritianne Northrop, D.r Mark Liponis, Dr. Dean Ornish, and Mary Shomon. Graduate of Columbia University’s College of Physicians and Surgeons, performed his otolaryngology (ENT) residency at Albert Einstein in the Bronx, NY. Was in private practice in Manhattan for 13 years, and 4 years ago went into academic medicine at the Albert Einstein College of Medicine as an assistant professor of otolaryngology. Board-certified in both otolaryngology and sleep medicine. Breathe better, sleep better, live better Podcast on iTunes.